The Iowa City nursing home abuse and neglect attorneys of Nursing Home Law Center LLC fight for the rights of all of our loved ones who require regular care and supervision and for changes in the industry that will improve the quality of care provided and wellbeing of patients. One of the ways that we can best promote change is to call negligent nursing homes out on their misdeeds and steer the public away from them for the sake of their loved ones. We’ve compiled a list of the worst rated nursing centers in your area for this very reason to make your search for a home a little easier, should you find yourself needing to make the tough decision to place your loved one under the care of others. Medicare releases publicly available information every month on all nursing homes in Iowa City, Iowa based on the data gathered through inspections, investigations and surveys. According to the federal agency, investigators found serious violations and deficiencies at four (36%) of the eleven Iowa City nursing facilities that led to resident injuries. Was your loved one was injured, mistreated, abused, or died unexpectedly from neglect while living in a nursing home in Iowa. If so, we encourage you to contact Iowa City nursing home abuse attorneys at Nursing Home Law Center (800-926-7565) today to schedule a free case review to discuss a financial compensation claim to recover your damages. Iowa City is home to the University of Iowa, which attracts a flow of new residents into and out of the city on a regular basis. It is also the only city on the North American Continent that has received the title of City of Literature by UNESCO. Due to its friendliness to business and the quality of life residents enjoy, its population has swollen from 67,000 to over 74,000 over the last five years. About 8.2% of Iowa City’s population is comprised of senior citizens. The Iowa City Senior Center provides invaluable resources to seniors looking to remain active and healthy or who require assistance with transportation, nutrition or senior health and wellbeing. Registered members can participate in dances, support groups, fitness screenings, exercise programs, picnics and local trips. Computer classes, Euchre, yoga, bowling, chair dancing, line dancing, quilting and a singles group are only some of the programs and activities available for those looking to connect with their peers and stay active well into their golden years. For more information, visit https://www.icgov.org/city-government/departments-and-divisions/senior-center. You can also visit https://apm.activecommunities.com/iowacityseniorcenter/Activity_Search to see a calendar of upcoming activities and events. The list of nursing homes our Iowa City nursing injury lawyers have put together was created using information found using the Medicare nursing home compare tool. Medicare tracks and rates every nursing home in the country so that you can compare the quality of care being offered by multiple facilities when searching for a home for your loved ones. We’ve only highlighted the facilities you should avoid due to a history of negligent care, so if you would like to compare homes not listed, you can use the tool to by visiting https://www.medicare.gov/nursinghomecompare. Primary concerns: The quality measures and health inspection scores for this facility suggest systemic neglect. 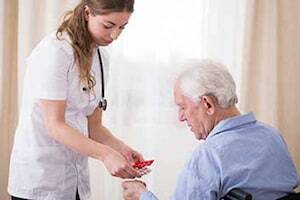 The first measures how well a nursing center tailors its care to the needs of individuals and keeps them satisfied while the health inspection rating gauges how clean and maintained the property is, how well communicable diseases are contained and whether patients receive proper nutrition, hydration and medication. This center’s record received a one star rating. Primary concerns: The primary demerit for this home is the numerous marks on its health inspection history, placing residents at risk of injury due to the spread of illness or exposure to environmental hazards such as trip and fall hazards or unsanitary living quarters. Primary concerns: Non-profits tend to provide superior care because they are less concerned with their bottom lines and more concerned with the needs of their residents. While this facility has a substantially better health record, its staff and quality measures could see improvements from their mediocre status. Primary concerns: If it were not for numerous health inspection deficiencies, this facility would receive a perfect score due to its superior staff and quality measures ratings. Should the health record concerns be mended, this facility could redeem itself. Our Iowa City nursing injury lawyers recognize that nursing abuse or neglect can come in many forms and that you may ponder when it is most appropriate to take legal action to protect those you care for. Most clients approach us either due to the hospitalization of their loved one without a satisfactory explanation or because they notice that things just don’t seem right with the person they know and love. The different types of abuse and neglect cases we work on can include the following. The development of pressure ulcers. A pressure ulcer is commonly referred to as a bedsore and develops when blood flow is cut off to parts of the body due to the pressure of the body on the joints over a long period of time. These sores are prevented simply by moving patients who suffer from mobility issues periodically so that the flow of blood is restored. Dehydration or malnutrition. Nursing facilities that are poorly staffed may not have the resources to provide proper nutrition and hydration to every patient. There have been some cases where patients miss one or more meals a day because they are never served. Medication errors. One of the most common causes of discomfort and injury in nursing homes, the improper prescription or administration of medication can have effects ranging from mild discomfort to life threatening complications or death. Physical or sexual abuse. These heinous offenses are unacceptable and worthy of criminal and civil action. They are not always necessarily perpetuated by caregivers and the offenders may be fellow residents, unauthorized visitors or family members. Nursing facilities are responsible for ensuring that proper security protocols are in place to protect residents, so they may still be held liable regardless of who the offender is. Nursing Home Law Center LLC has been successful in the pursuit of justice and compensation on behalf of thousands of nursing negligence victims across the nation. Our experience and knowledge help us provide you with the greatest chance of holding your loved one’s nursing facility accountable when abusive or reckless treatment has resulted in physical or emotional suffering. Contact us today to arrange a free consultation with one of our award winning Iowa City nursing home abuse and neglect attorneys so that we can review the details of your case and let you know more about your legal options. We work solely on a contingency basis, so you are assured that you will not owe us anything until we secure compensation on your behalf.